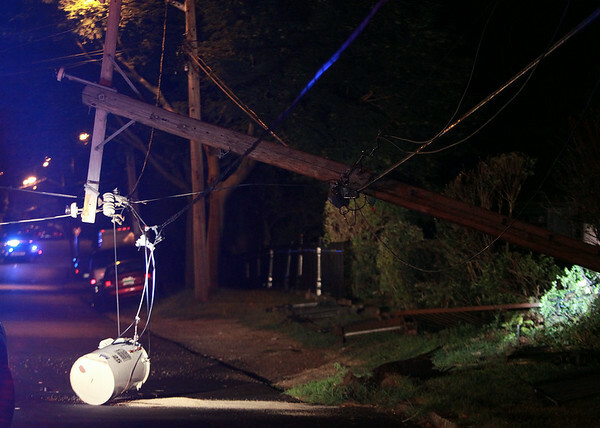 A downed transformer and telephone pole along Appleton Street in Salem. DAVID LE/Staff photo. 8/7/14.